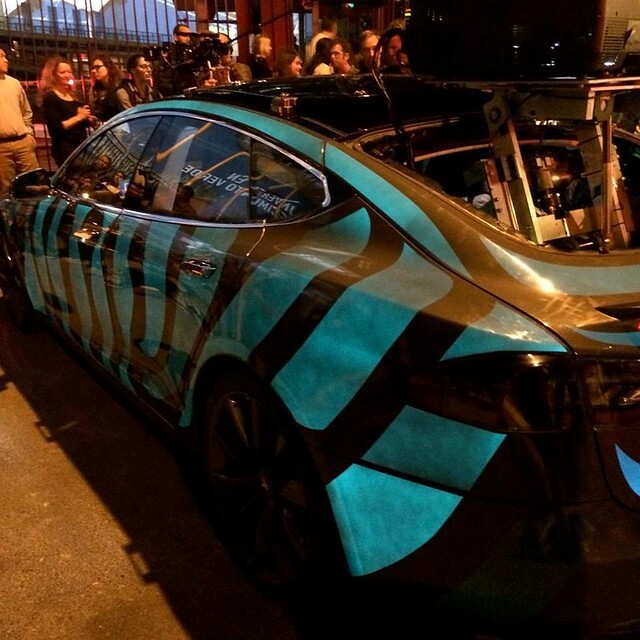 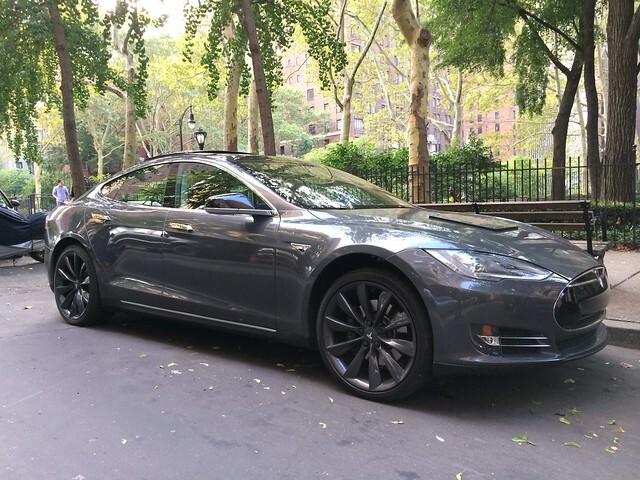 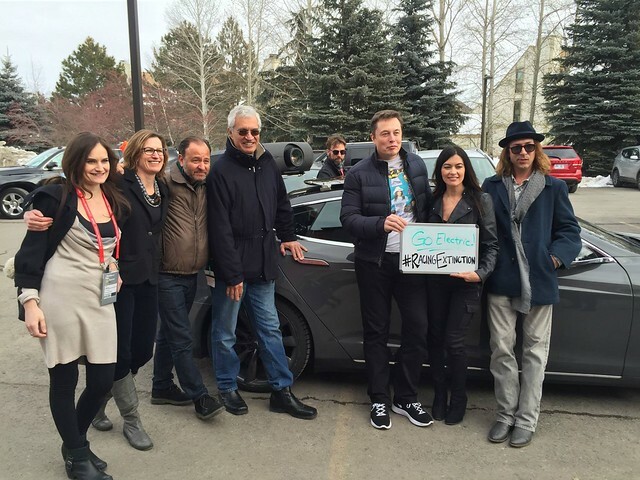 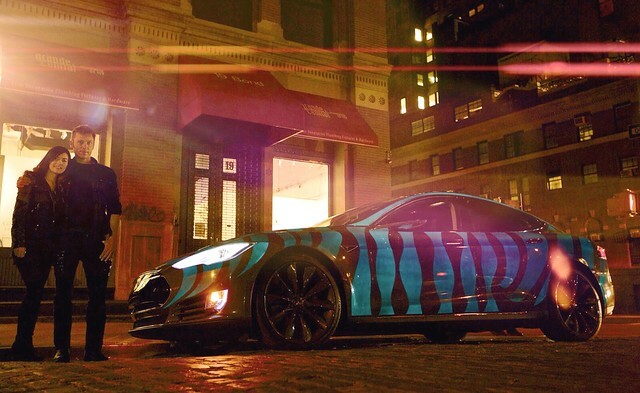 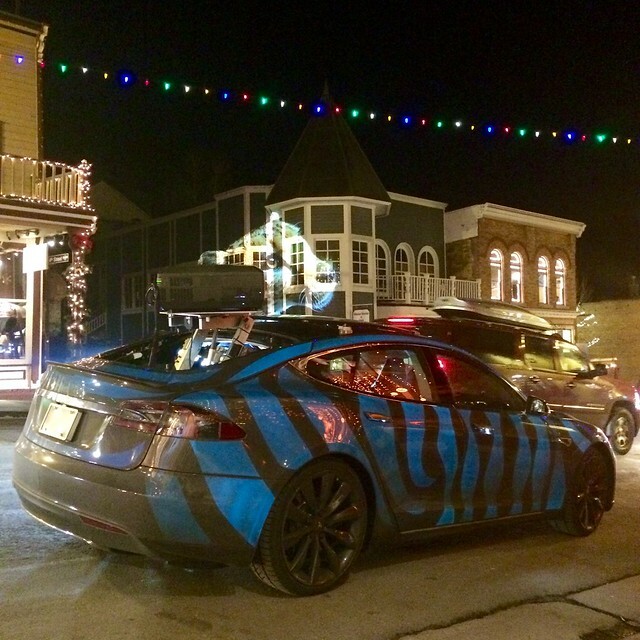 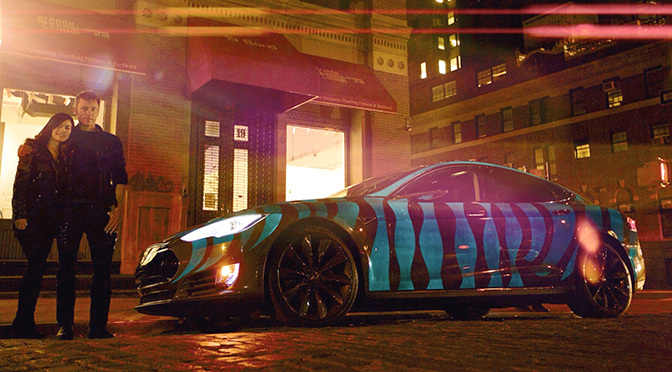 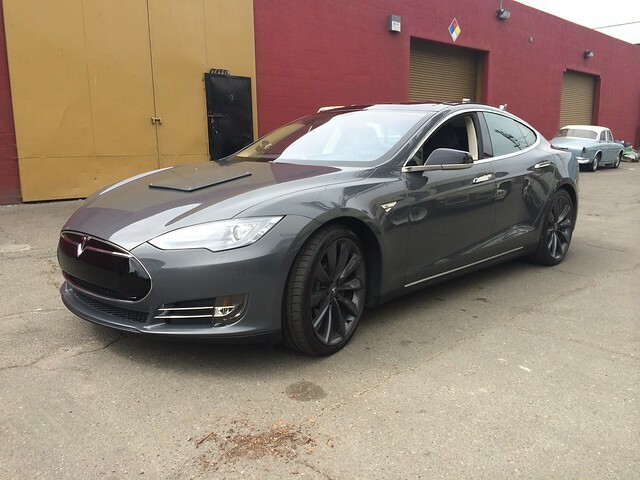 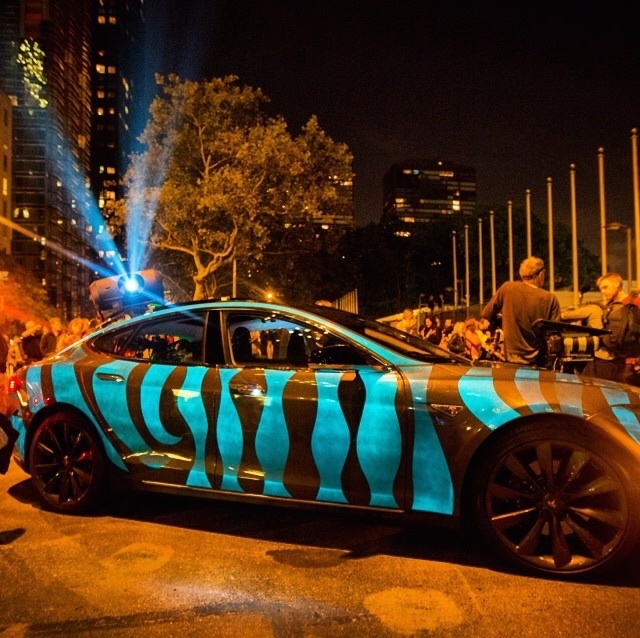 In 2014 I worked with Obscura Digital and the Ocean Preservation Society to modify a Tesla Model S electric car for the full-length documentary Racing Extinction. 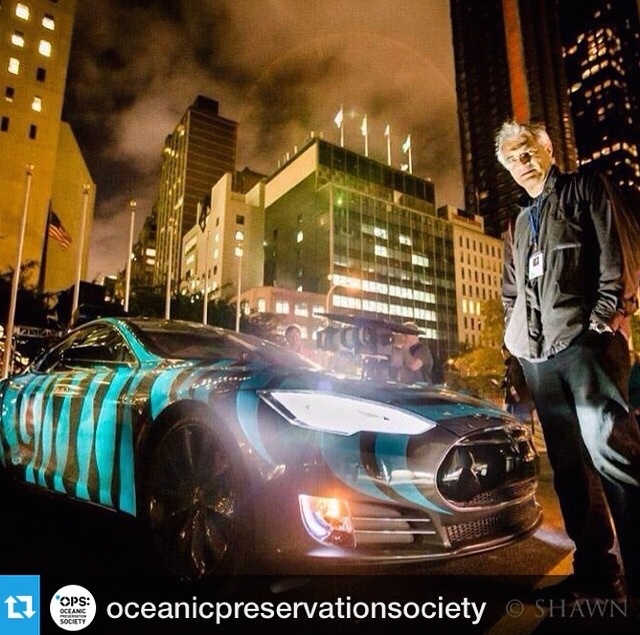 Directed by Louie Psihoyos, academy award-winning director of the Cove, Racing Extinction is an eye-opening film about our current environmental crisis, specifically that we are now facing the 6th mass extinction of species in the history of the planet. 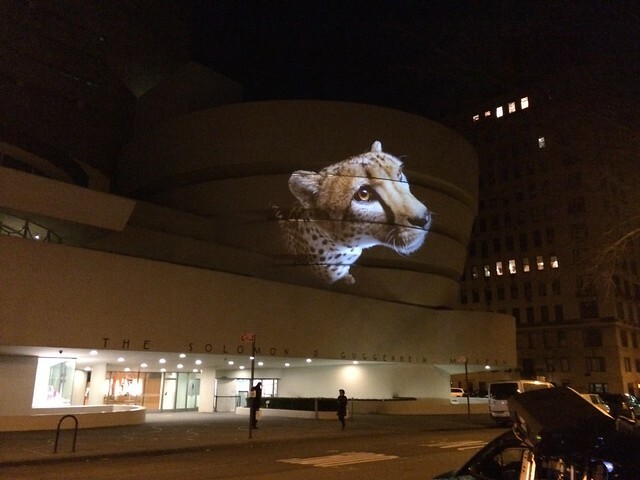 It is an unprecedented and under-reported story that not only affects millions of creatures, but also threatens the very web of life that provides us with the air we breath, the food we eat and the water we drink. 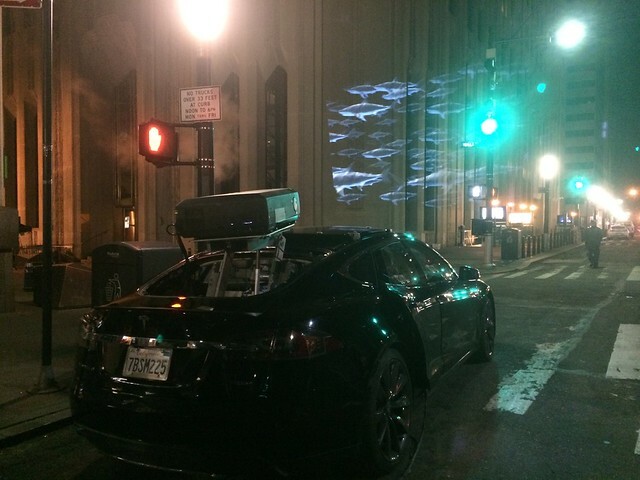 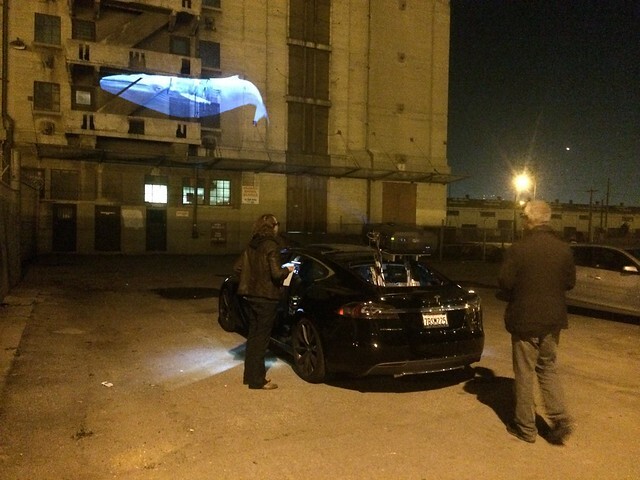 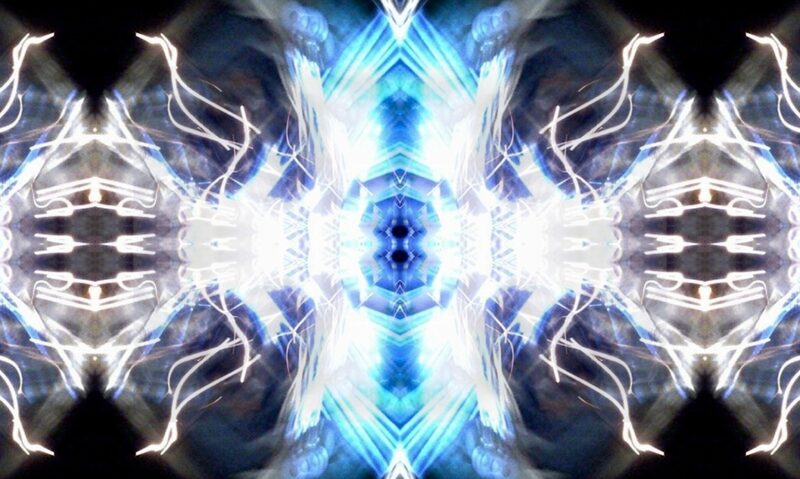 The modified Tesla is now a weapon of mass construction, outfitted with a 15,000 lumen video projector that deploys on a robotic arm out of the back of the car and is controllable by a joystick. 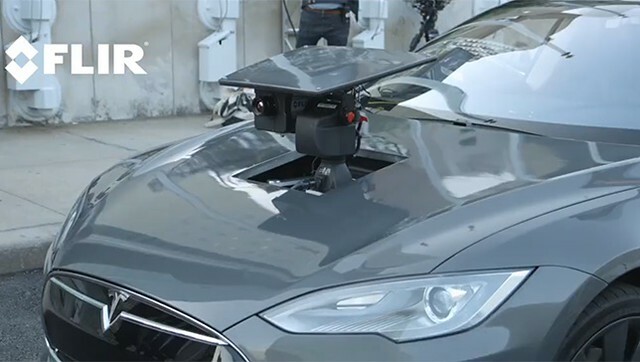 In addition, a military-grade FLIR thermal imaging camera is installed in the front trunk (aka “frunk” as many Tesla car owners have nicknamed it). 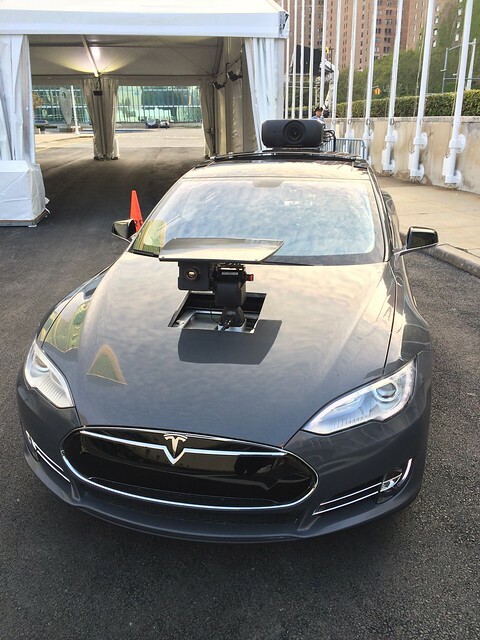 The camera’s sensor needs to be cooled to almost 0º kelvin and can see light in the infrared spectrum, but it is also outfitted with a special filter that allows one to view carbon dioxide gas. 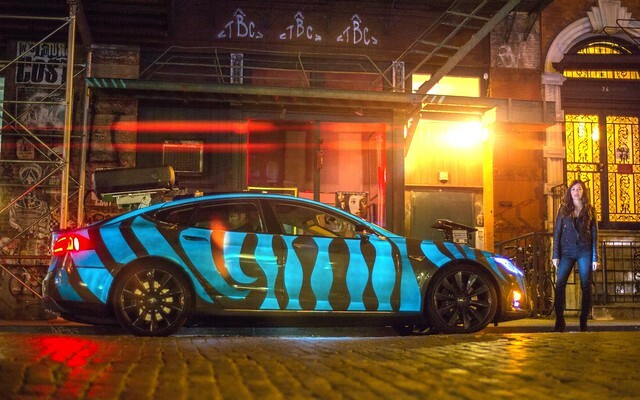 Finally, the very paint on the car emits light, the very first car to have an electro-luminescent skin, developed by Darkside Scientific. 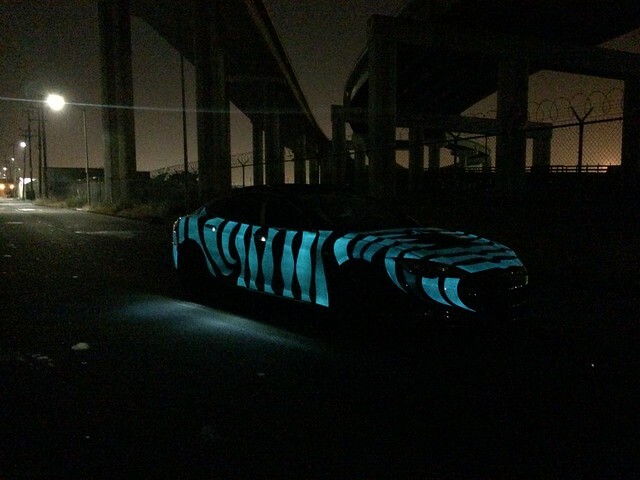 The paint is a sort of reverse camouflage, allowing us to be seen when we want, or to go dark into ninja mode… but it also pays homage to the billions of animals that communicate in the dark depths of the ocean using only bio-luminescent light. 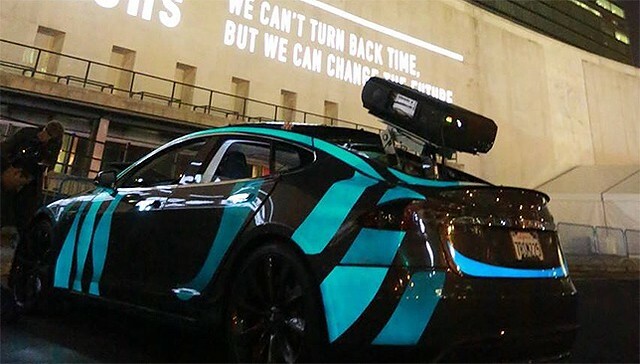 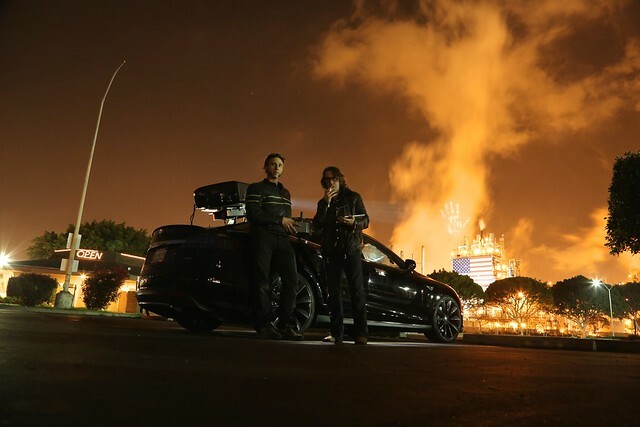 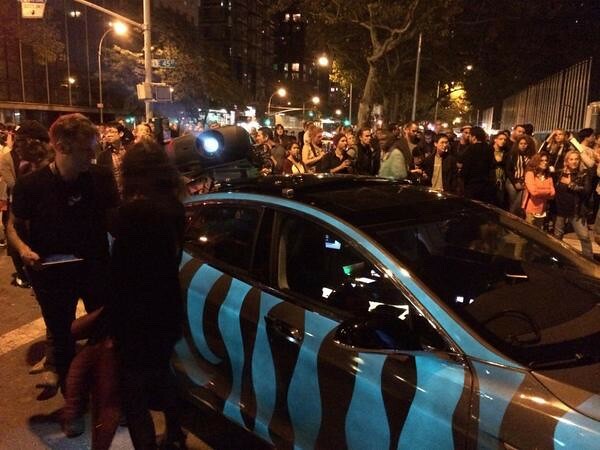 With all of these high-tech and artistic mods, the car functions as a high-speed photon cannon, able to blast environmental imagery and messaging onto buildings, smokestacks, oil tankers or billboards from NY to LA. 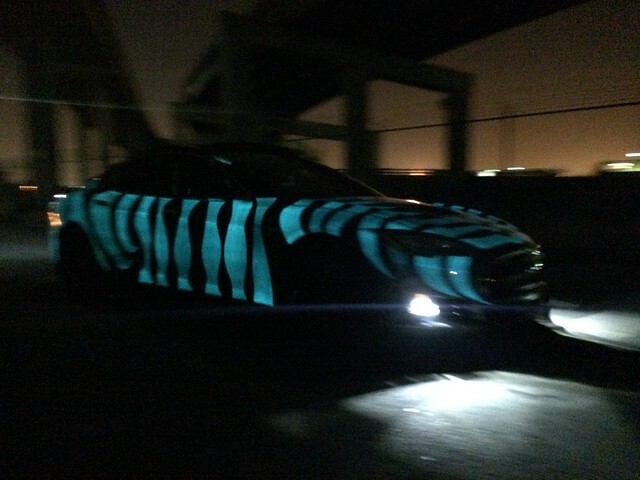 And it also makes for a stealthy get-away vehicle. 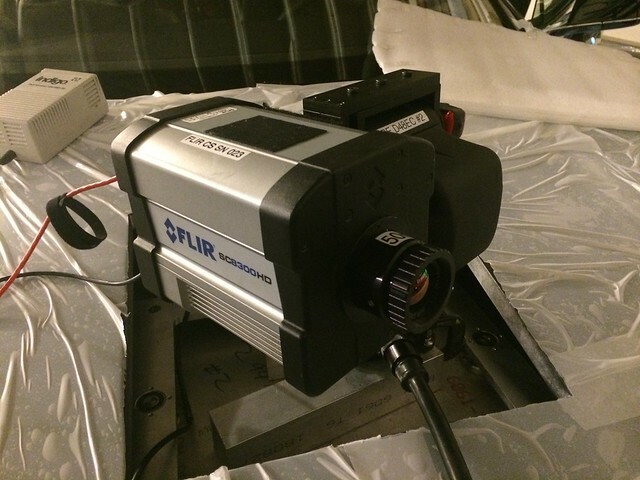 With the addition of the FLIR camera, we are able to expose the invisible problem of carbon dioxide emissions from the freeway to the cow farm in real time. 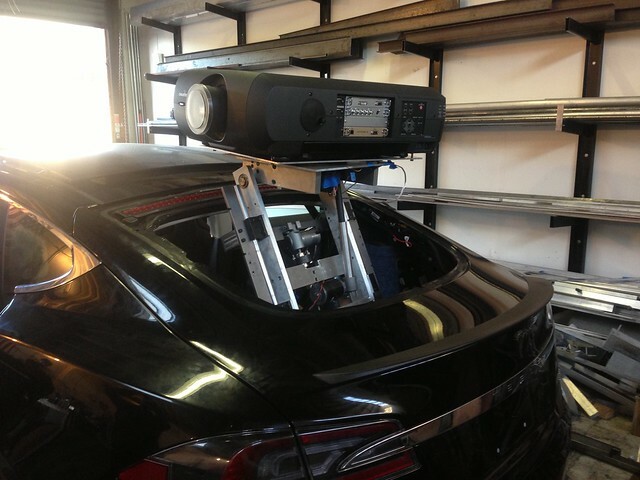 I developed and installed many of the electronics and media systems in the car, working closely with the fabrication team at Obscura to control the motors for the projector and the FLIR camera, as well as programming and integrating the electro-paint wiring and building a wifi-enabled control system for changing patterns and selecting the media to project. 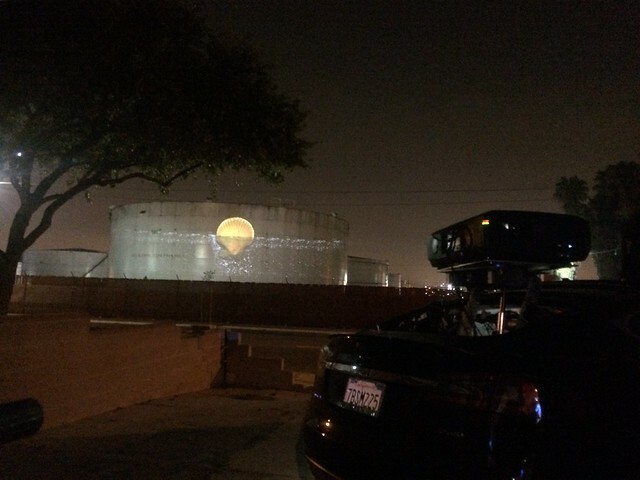 One of the challenges was designing a mobile projection system that enables video content to work on variable architectural surface areas, without having the ability to map the space ahead of time, nor being able to design content that works with a specific space. 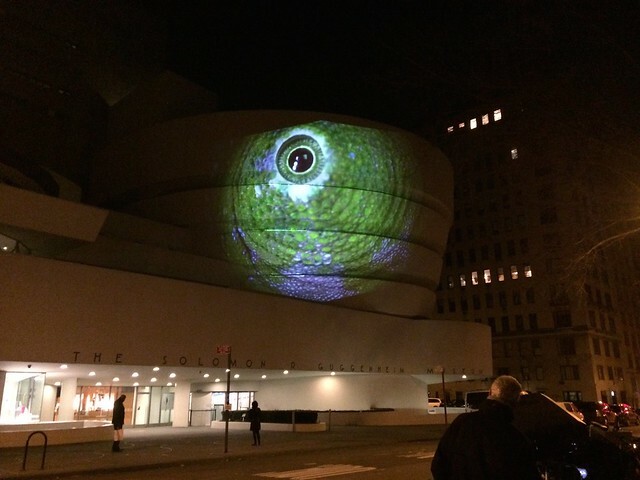 With Obscura, I designed a custom video projection system with on-the-fly controls for rotation, scaling, stretching, masking and letterbox correction in order to compensate for in-the-field corrections that allows them to illuminate just about any surface area. 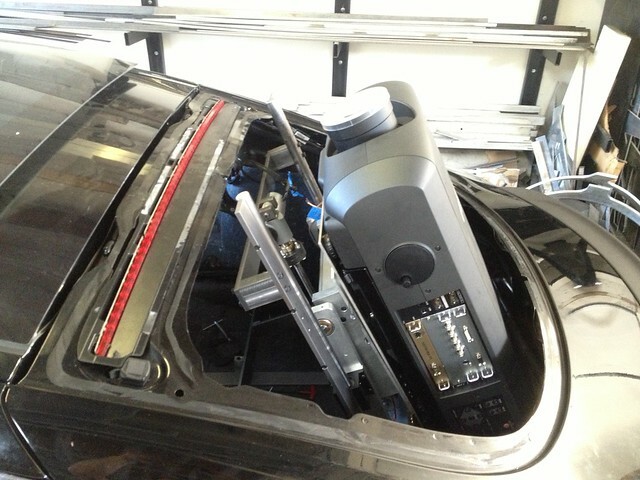 Due to the complexity of systems in the car, I was also asked to be the operator, which also keeps me on hand to troubleshoot any issues that inevitably come up. 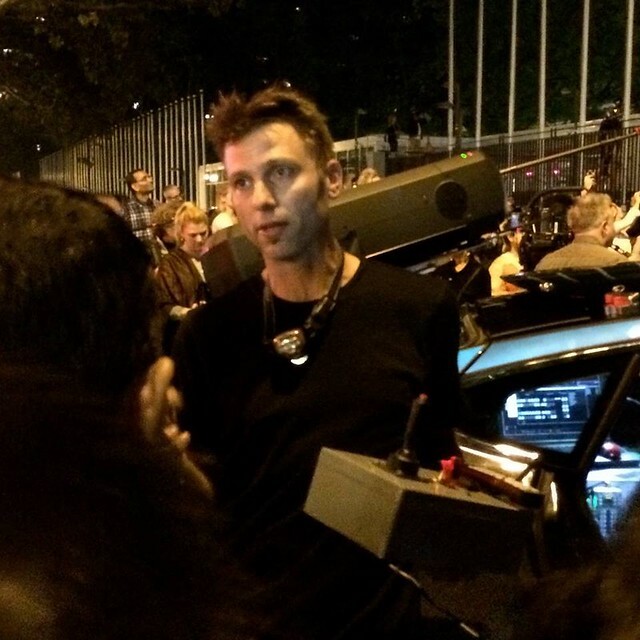 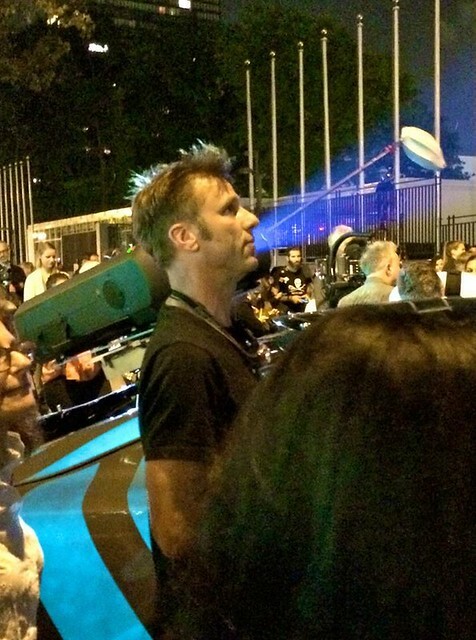 You might catch a tiny glimpse of me during the film or in the trailer as I operate the controls from the back seat. 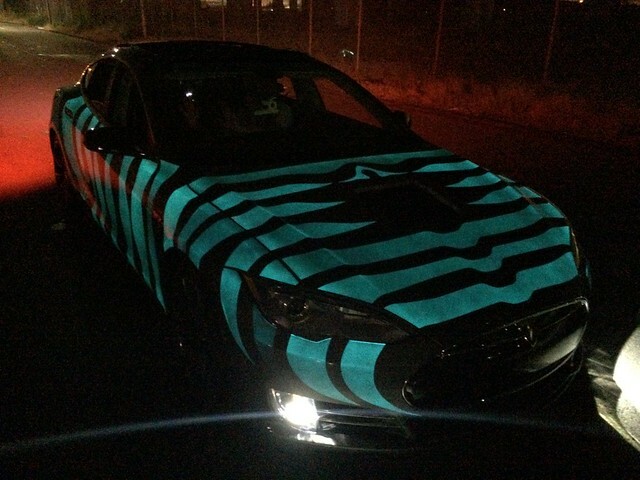 And if you make it out to any of the major premiers, with any luck I’ll be there with the car as well.